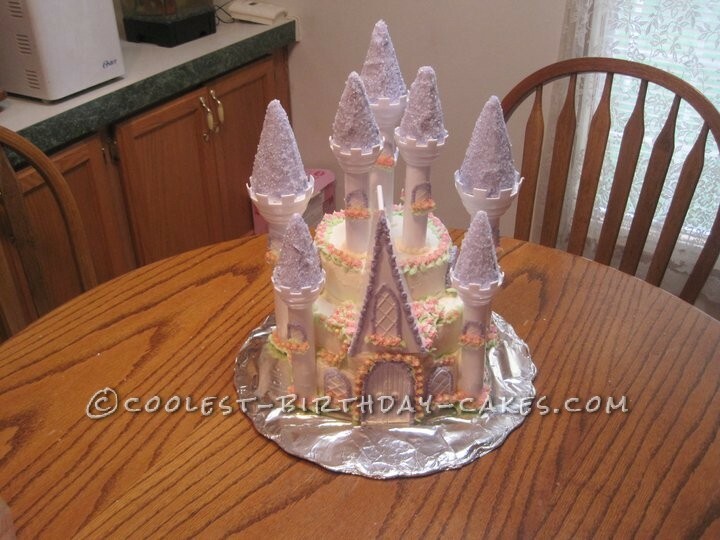 This pretty Princess Castle cake was really one of the first real huge cakes I did. This was for one of my daughters’. She loved the thought, as do many little girls, she was a princess. When she told me she wanted a castle, I thought I gotta do this for her! I used 3 different size cakes. Depending how big you actually want your cake. I used dowel rods to hold up the cakes. 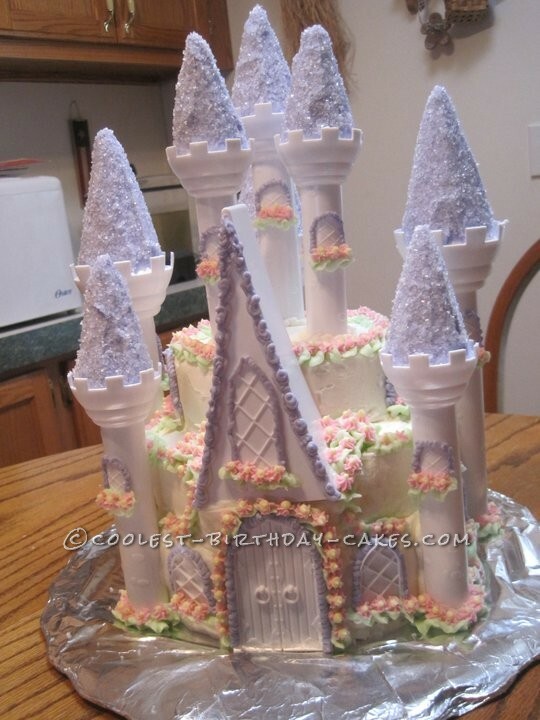 I also purchased the pillars, the A frame, door and windows to complete this cake. I added to it the details of all the flowers. This took a good bit of time! This cake was a two day process. I iced the cones and rolled them in clear crystal sugar. They stayed pretty good. All in all a great cake for little girls! This was her favorite cake by far! I would love to make this again! It was very challenging to me at the time! One of my favorites!